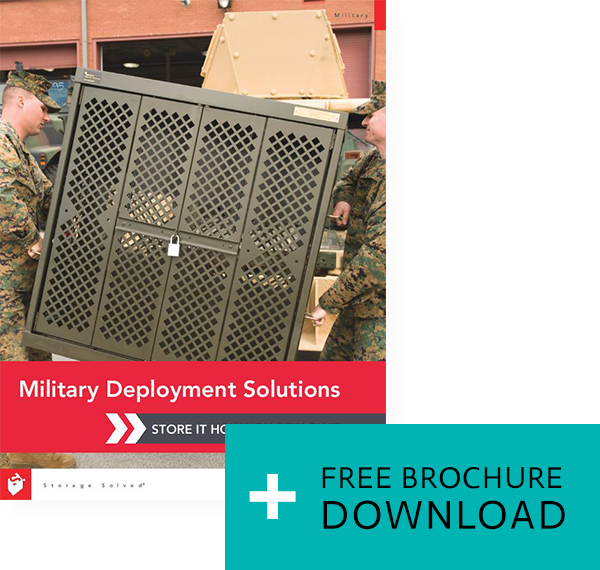 With years of experience designing storage and deployment solutions alongside military personnel, Spacesaver has a wide range of military storage solutions to help you achieve your mission in a safer, more efficient manner. 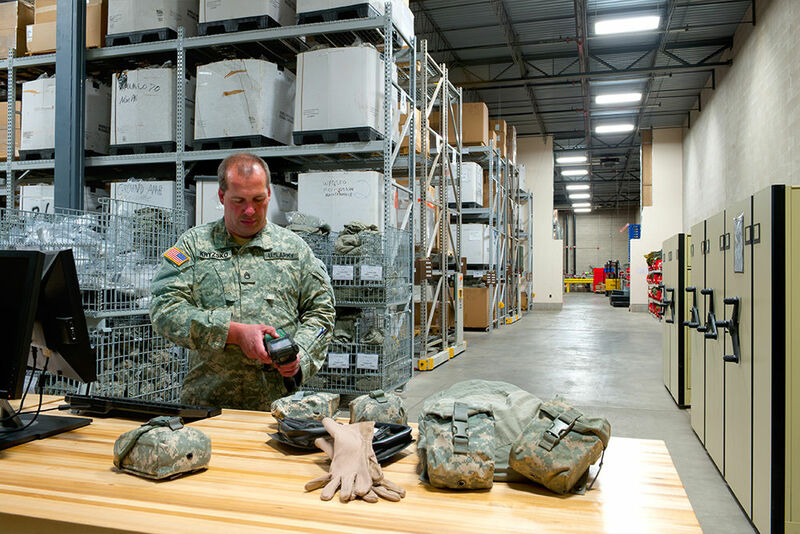 Military installations have all the storage needs of a small city – but are also responsible for an immense amount of gear, equipment, and weapons. It’s key that all of this gear is not only stored efficiently in garrison, but also that it’s ready and secure for rapid deployment. 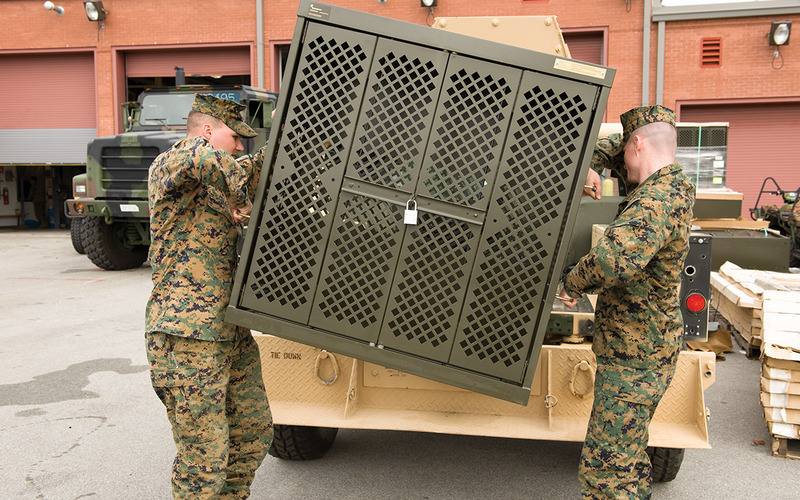 Our full line of military storage solutions is designed to streamline your processes and make the most of your limited storage space in garrison. Then when it’s time to deploy, many of our products can be packed directly into shipping containers to give your unit more time for what really matters. 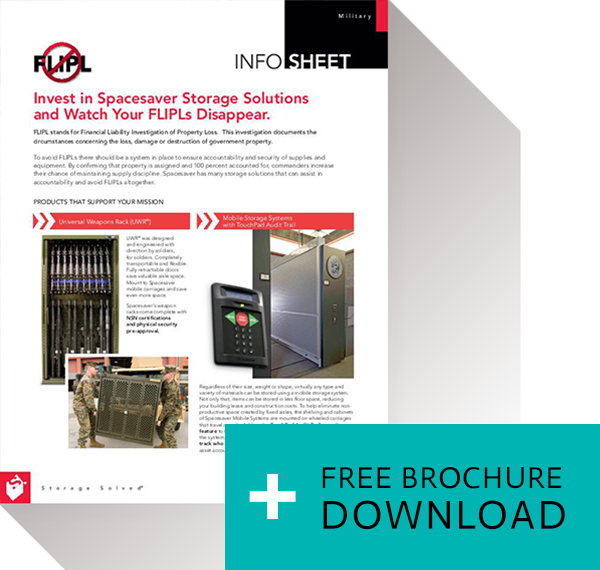 Increase the capacity of your storage space, simplify inventory counts, and ensure gear accountability with configurable solutions for every item. Keep weapons and optics secure and ready. Increase the capacity of your storage space & streamline processes. Keep pharmaceuticals and supplies organized and at hand. When it’s time for rapid deployment, don’t waste time repacking every item for shipping, only to unpack it for customs, then unpack again when you arrive at your final location. 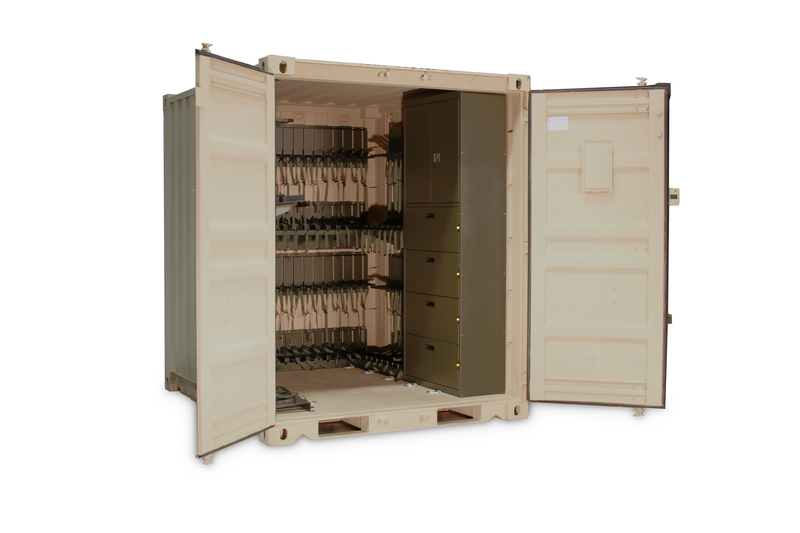 Our deployable solutions for weapons, heavy equipment, OCIE, and more allow you to store items in the same container in which you deploy them. Keep any type of weapon secured with optics zeroed throughout transport. 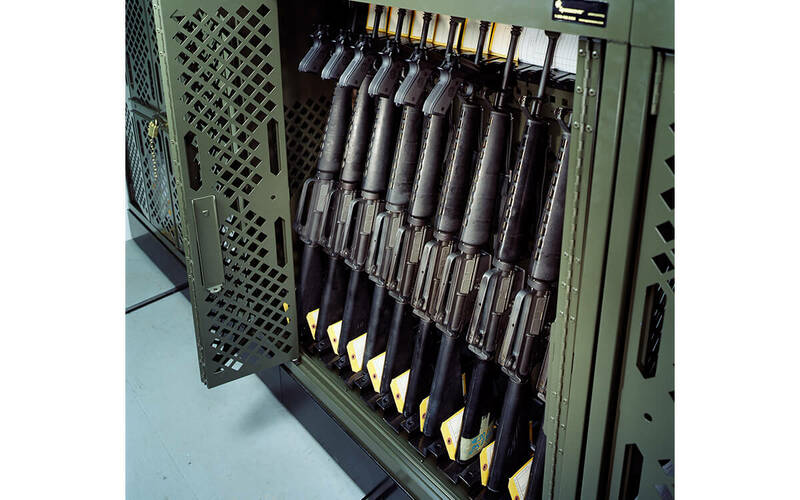 Mobilize your arms room with the Universal Expeditionary Weapons Storage System. The FLIPL (Financial Liability Investigation of Property Loss) is governed by Army Regulation 735-5, Policies and Procedures for Property Accountability, and DA PAM 735-5, and is an investigation into the facts and circumstances surrounding the lost, damaged or destroyed property. To avoid FLIPLs, there needs to be a system in place to have control, accountability and security of OCIE, weapons and other high value assets. 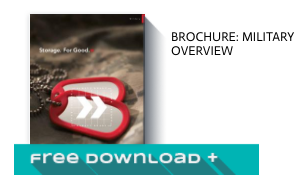 By ensuring property is assigned and 100% accounted for, commanders increase their chance of maintaining supply discipline. 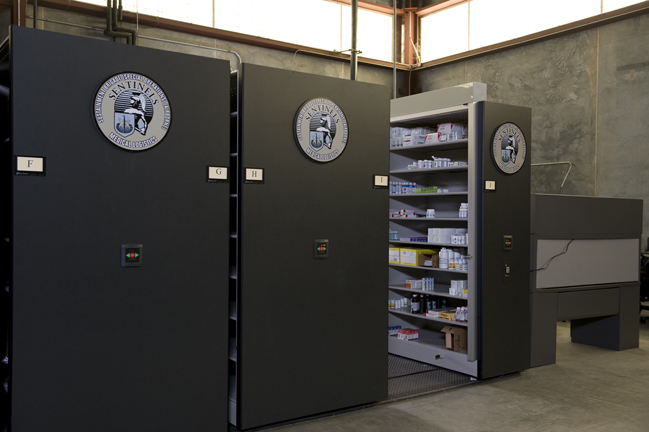 Spacesaver has many storage solutions that can assist in accountability to save time, ensure greater accuracy and avoid FLIPLs.